Friends welcome to CodeExercise and today we will show you a cool trick that will help you in many ways. Today we will talk about a tool name VLC Media Player. It can help you to convert any video file without the help of any third party tool. It means when you need to convert any video file you can convert it in the background of VLC without using any third party tool. 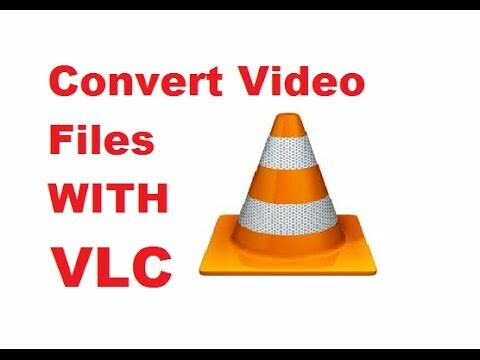 The trick name is how to convert video files using vlc media player. Isn’t it a cool trick ? Of course it is. VLC Media Player can play almost every video file formats that’s why we always prefer VLC media player to play all kind of media files in our PC. This is the most approved media player. Using VLC you can do many creative things with your videos and one of the examples that we have already seen is its ability to cut video clips. VLC media player plays almost any type of media file, but you can also use it to easily convert videos to other formats like MP4, useful if you want to see the movies you’ve made on mobile devices. First of all launch VLC media player. After that you need to click on the Media menu tab at the top of VLC Media Player’s screen. Now you need to select Convert / Save. Under the file tab you will see two sections. The first one is you need to select a video file to work on, click the Add button. And the second one is you need to select the file direction where you want to save the convert file. You have to select the file format in which you want to convert the file. Finally when you are ready, click the Start button to extract the audio from your video to create an MP3 version. The player will stream the video in twice the speed and convert it at the same time in the background. It’s now time to sit back and relax. If you face any trouble while converting your videos then try installing a codec pack. Through this easy process you can convert your video files to mp3 with vlc media player.